If you’re a fan of all things white but want to ramp up your style credentials then look no further than our white triple dimmer switch. With a satin coated metal plate, smooth curved edges, hidden fixings and minimalist knurled knobs, we’ve brought the classic white dimmer switch kicking and screaming very much into the ‘now’. We think this versatile little number might just be your new go-to dimmer switch. Once upon a time, white switches were not just a safe option, they were probably the only option. Fast-forward to now and it’s a totally different story. We’re unashamedly going to take all the credit for this as our white switches really are a cut above the rest. 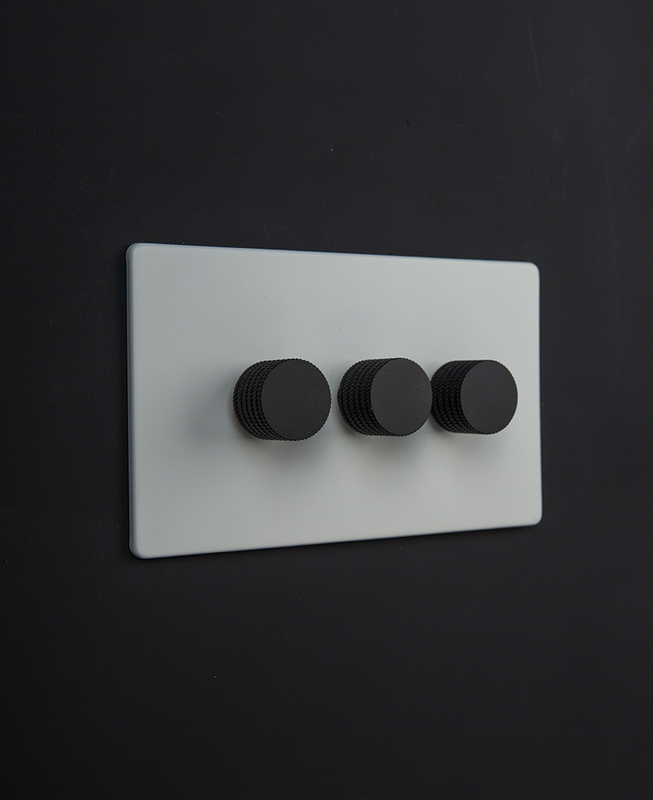 Our white triple dimmer switch is a great all-around option, adding a timeless feel to any interior. Its appeal is in its clean, simple and unfussy look. We’ve cleverly hidden the fixings too so all you see is the sleek plate and the minimalist knobs. Available in four different finishes, there’s a knob to suit all tastes (good tastes only obvs). Keep your room strictly monochrome by choosing the black or white knobs, or bring in a touch of luxe with the gold or silver knobs. So, as well as its exceptional good looks, this triple dimmer switch is one clever piece of kit. 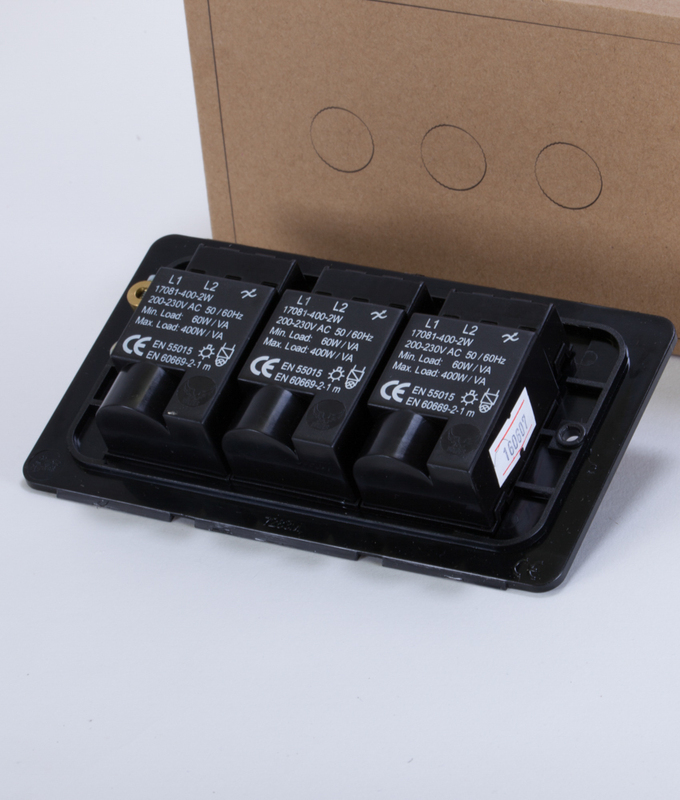 It allows you to control the lighting level of multiple lights, all from one place, bonus. Crank up your lights when you want to see your room in all its glory (or if you need to find the missing remote control), or dim them down in the evening when it’s time to chill. 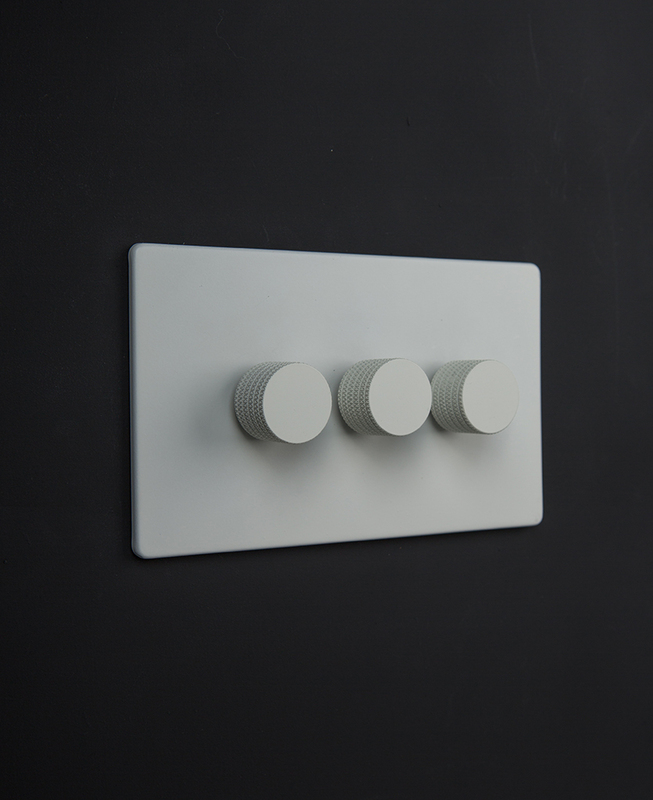 This white triple dimmer switch is part of our range of contemporary white metal light switches & sockets. The collection includes dimmers, plug sockets and even a cooker switch, plus many more. These are exclusive to us, we designed them, so you won’t find them being sold by anyone else.